We are continually acquiring wonderful and rare books and original antiques and implements. Below are photos and information. Inquiries welcomed. 20136b. CDV [Carte De Visite format] Grace Darling c.1883. 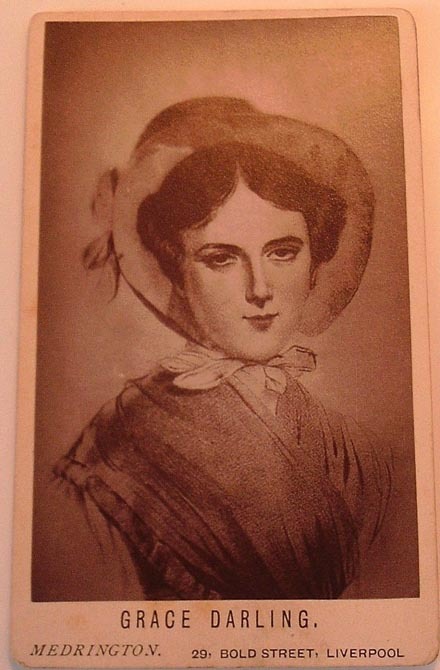 Early CDV format shows a fine, clear photo illustration of the famed heroine Grace Darling, rescuer of the crew of the Forfarshire in the Farne Islands in 1838. 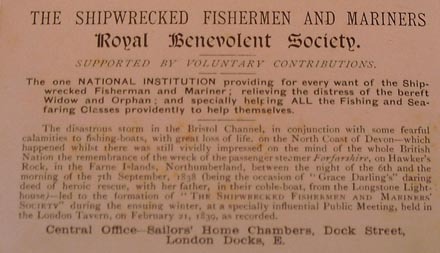 The CDV is published by the Shipwrecked Fishermen and Mariners Royal Benevolent Society and was used for fund raising, possibly at the Great International Fisheries Exhibit in 1883. By Medrington, Liverpool. Quite rare and collectible, particularly of Grace Darling history. With lengthy description of the rescue on verso. Clean, crisp. (VG). $58. 1864. Arthur, Thomas. The Life of Grace Darling the Heroine of the Farne Isles. London. 1885. Religious Book Society. 124p. Green decorated cloth wraps. The story of the legendary Grace Darling, the daughter of a lighthouse keeper on the Northern coast of England , has been retold for over a hundred years. In 1838 Grace and her father rowed more than a mile to rescue passengers and crew of a foundering steamship, a deed that was to gain her immortality. One of the first “media” heroines, many Victorian journalists rose to the occasion, taking the simple daughter from life into legend. A very good, detailed account of her life. Contents are clean but front hinge has come loose and some pages have detached. Wrape soiled and worn to edges. (G+) $18. 7143e. Edwards, E. Price. 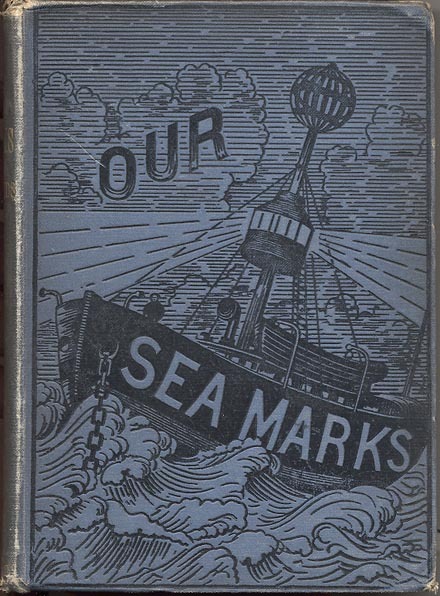 OUR SEAMARKS; Plain Account of the LIGHTHOUSES, LIGHTSHIPS, BEACONS, BUOYS, AND FOG-SIGNALS MAINTAINED ON OUR COASTS FOR THE GUIDANCE OF MARINERS. London . 1884. 192p. Beautifully binding embossed with light-vessel, clean and bright. Over 40 very nice detailed engravings of apparatus and equipment with one large fold-out map showing the ranges of the principal lighthouses and lightships on the coasts of the British Islands . Wonderful detailed information on apparatus; includes chapters on lighthouses and towers, illumination and apparatus, the Lighthouse Service (Trinity House), lightships, buoys and beacons, coast fog-signals and much more. Generally clean, tight, some foxing to frontis pages and some chapter pages, contents overall clean. Wraps bumped, light edge wear, wear to ends of spine. Small 2” tear to corner of fold-out map. Scarce title, very good information on apparatus. (VG-). $88. 6639c. 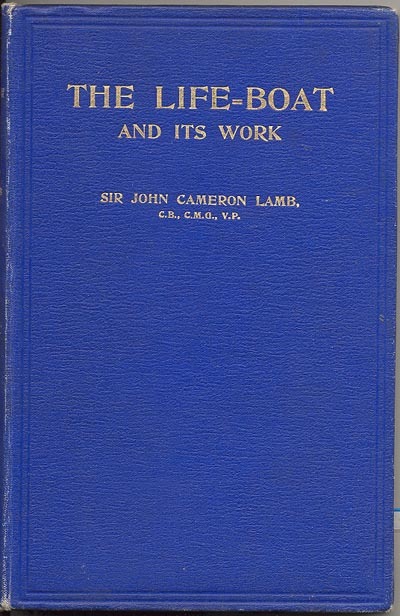 Lamb, Sir John Cameron [Deputy-Chairman Royal National Life-Boat Institution]. THE LIFE-BOAT AND ITS WORK. London . 1911. 8VO. 88pp. Beautifully illustrated with over 45 photos and diagrams. Relates the history and development of the life-boat for rescue at sea. Includes methods of launching, carriages and equipping boats, profile and construction diagrams as well as rescues performed. Also includes listing of medals awarded by the Institution and lives saved. A valuable early reference on the subject. Nice embossed boards, quite clean, tight. Only light edge wear to wraps. Very nice copy. (VG+) $118. 28151b. [life-saving certificate] Liverpool Shipwreck and Humane Society. c.1910. 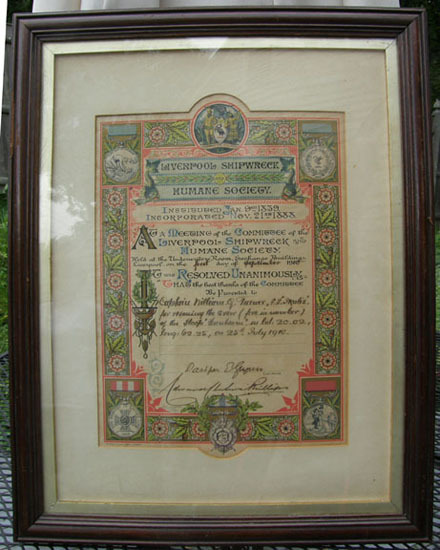 “Certificate presented to Captain William G. Turner, S.S. Ikalis for rescuing crew (five in number) of the sloop Sunbeam in lat: 20.02, long: 62.25 on 25th July, 1910. The “Certificate” is the Society’s most frequently used award and is second in order of importance. There have been at least two versions of it to date. It measures 272 mm wide by 342 mm long and is framed and glazed. Its top left and right hand corners have representations of the marine medal obverse and reverse on them. The certificate is signed in pen by both the chairman and the secretary on behalf of the committee. Bears beautiful detail and nice engraved images and fine hand written script. Such award certificates are extremely rare. Printed by Sharpe & Kellet Lithographers, Liverpool . In original mat and frame, some soiling and light foxing from age but will clean up nicely. Overall framed size 18 ½” x 23 ½”. (VG). $195. 1647. Clarke, Liam. Light in the Darkness: A History of Lightships and the People Who Served on Them. Amberley Publishing. 2016. 224p. Soft wraps. 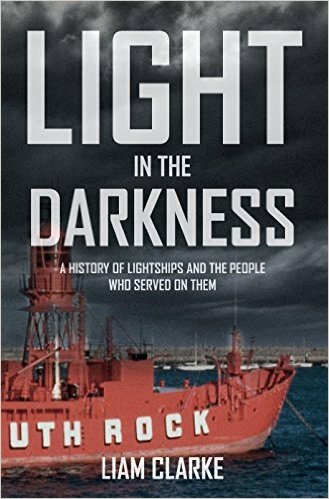 Light in the Darkness examines the origins of the British lightship service, the obstacles and prejudices that faced originators of the idea and the subsequent development of the vessels and working practices over the years. Throughout the centuries, this dangerous occupation has claimed the lives of a number of lightship crews and those who tried to save them. The lives and working conditions of the brave men, who for over 260 years put their lives at risk guiding ships safely to their destinations, has been almost forgotten. Who were these brave men? Why did they do this vital work? Where did they live and what was the effect upon local communities when these tragedies occurred? Dr Liam Clarke answers these questions with a discussion of local lightship disasters including interviews with some of those who once served. The author, born into a family with a long history of lightship service, has a deep understanding of the dangerous working conditions and the pressures that this lifestyle had on the men and their families. He uses this to portray a lonely and hazardous life which few now remember, and which has rarely been written about. (M). $24.95. 15276. Wilkinson, D. and M. Boyle. Lighthouses: Photographic Memories. Frith Book Co. 2004. 134p. Soft wraps. Illustrated with vintage photographs from the Francis Frith collection throughout. An evocative collection of historic photos from the Francis Frith Archive, plus insights into the working practices and daily lives of the light keepers in the British Isles. 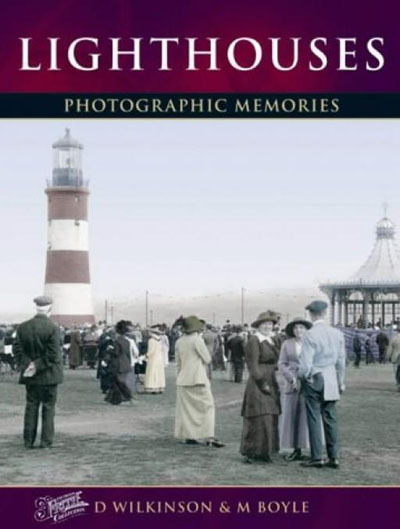 Francis Frith and his photographers visited all the lighthouses in this book and this compilation with detailed history of each light station and its keepers makes a fine addition to your library. Lightly used. (VG+). $46. 15254. Leslie, Jean and Paxton Roland. 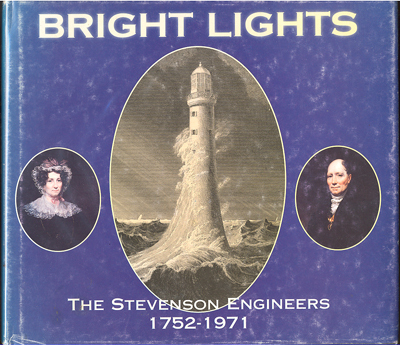 Bright Lights: The Stevenson Engineers 1752-1971. Edinburgh. 1999. 208p. DJ. SIGNED by both authors on title page and dated 18-V-99. 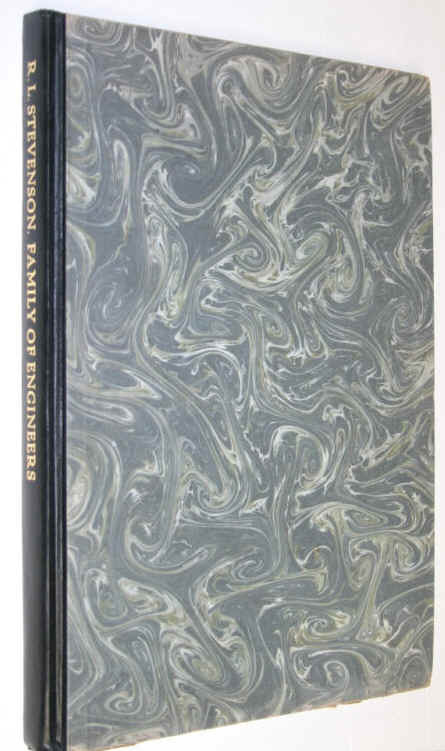 The Stevensons were a remarkable engineering family and this book, which emerged from a 1994 symposium held in Edinburgh, consists of family recollections and assessment of the professional aspects and achievements. Includes family recollections by Jean Leslie, grand-daughter of Charles Stevenson and professional comment on engineering aspects by Professor Roland Paxton. The Stevensons were Robert, Alan, Thomas, Charles and three Davids and for four generations all but one of the male Stevensons became engineers who specialised in lighthouses and marine works. The writer Robert Louis Stevenson, the only son of Thomas and grandson of Robert, was the exception. The authors clear up much confusion by telling the full story of the Stevenson engineering dynasty from 1752 to 1971. Also includes a chapter on Robert Louis Stevenson's life as a reluctant trainee engineer and "his own account of the night stage-coach journey south after his uncongenial experiences working at Wick breakwater.". Very well done account details the works by these noted engineers and the history behind them. 128 illustrations including 36 in color. Black cloth lettered and decorated in silver with good dj. Very difficult to find. (VG+). $84. 2422b. (telescope) Trinity House Telescope. Extremely rare Trinity House brass telescope was once standard issue to many British light stations and light-vessels for use by keepers and crews. This exquisite piece was manufactured and used by the Trinity House crews in the latter part of the 19th Century by "Heath and Co Crayford London SE " c.1870-90. The telescope is single draw, 24" long and extends to 39 ½” long. Eyepiece has brass closure to protect lens. Brass sun shade extends from one end. Body of telescope is beautifully wrapped in original highly polished burled exotic hardwood (may be walnut) for protection, some cracking from age. Optics are fairly clear and function well. Draw of telescope is beautifully engraved in script “TRINITY HOUSE” and " Heath and Co 12 Crayford London S.E. ". Engraving has worn over the years from use but is still beautifully legible. THIS IS AN EXTREMELY RARE PIECE AND IS A MUST FOR ANY LIGHT HOUSE MUSEUM OR COLLECTOR as we almost never are able to find such items. (VG). $1,295. Reduced $895. 14104. 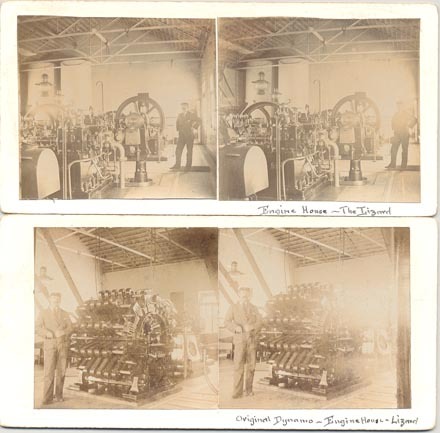 (lot 2 stereoviews) Engine House, Lizzard Light Station, Cornwall, England c.1910. Lizard Lighthouse is a landfall and coastal mark giving a guide to vessels in passage along the English Channel and warning of the hazardous waters off Lizard Point. 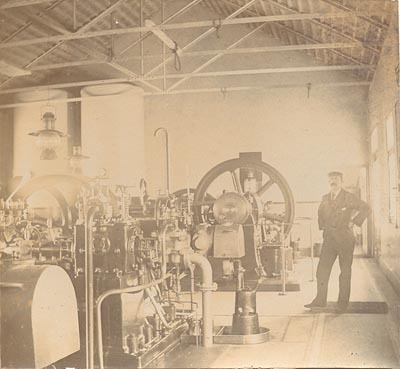 These rare views show the keepers in the engine house with the dynamo and air apparatus. Dated in pen July 1910. Views are clean and clear. Rare images. (VG+). $110. 13168. (photo) Steamer Benmohr Aground at Prawle Point, Devon, Breeches Buoy Rescue c.1931. The 6,000 ton steamer Benmohr ran aground off Prawle Point, Devon, the Graveyard of Many Fine Ships! 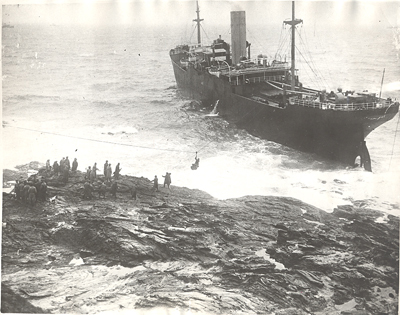 Fine image shows the view being rescued by breeches buoy after a line was shot to the ship by rocket apparatus. All 49 crewmen were taken off by breeches buoy before the vessel was pounded to pieces. Measures 8” x 10” with date and identification on back. Dated April 3, 1931. Light wear. (VG-). $32. 28238. Bathurst, Bella. 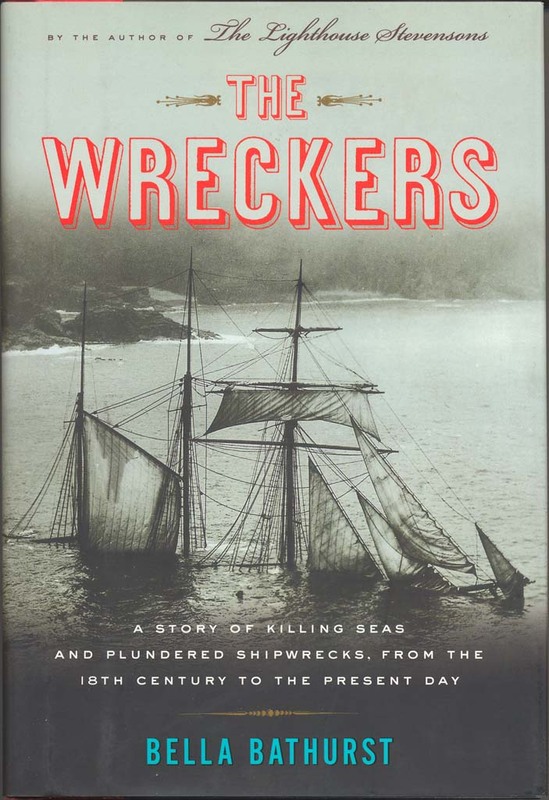 The Wreckers – A Story of Killing Seas and Plundered Shipwreck, from the Eighteenth Century to the Present Day. Boston. 2005. 326p. DJ. Bella Bathurst's first book, the acclaimed The Lighthouse Stevensons, told the story of Scottish lighthouse construction by the ancestors of Robert Louis Stevenson. Now she returns to the sea to search out the darker side of those lights, detailing the secret history of shipwrecks and the predatory scavengers who live off the spoils. Even today, Britain's coastline remains a dangerous place. An island soaked by four separate seas, with shifting sand banks to the east, veiled reefs to the west, powerful currents above, and the world's busiest shipping channel below, the country's offshore waters are strewn with shipwrecks. For villagers scratching out an existence along Britain's shores, those wrecks have been more than simply an act of God; in many cases, they have been the difference between living well and just getting by. Some plunderers were held to be so skilled that they could strip a ship from stem to stern before the Coast Guard had even left port, some were rumored to lure ships onto the rocks with false lights, and some simply waited for winter gales to do their work. From all around Britain, Bathurst has uncovered the hidden history of ships and shipwreck victims, from shoreline orgies so Dionysian that few participants survived the morning to humble homes fitted with silver candelabra, to coastlines rigged like stage sets to villages where everyone owns identical tennis shoes. Spanning three hundred years of history, The Wreckers examines the myths, the realities, and the superstitions of shipwrecks and uncovers the darker side of life on Britain's shores. (M). Published at $25. Our Price $16.95. 13218. (photo) Wireless Operator Jack Binns, RMS Republic c.1909 view. CQD (all stations: distress) transmitted in Morse was one of the first distress signals adopted for radio use in 1904 Although used worldwide by Marconi operators, CQD was never adopted as an international standard since it could be mistaken for a general call "CQ" if the reception was poor. (In 1905 “SOS” would be adopted as the international ocean distress signal.) Between 1899–1908, nine documented rescues were made by the use of wireless. The first distress call was simply "HELP". By February 1904, the Marconi Wireless Company required all of its operators to use CQD for a ship in distress, or requiring URGENT assistance. In the early morning of 23 January 1909, whilst sailing into New York from Liverpool, RMS Republic collided with the Italian liner SS Florida in fog off the island of Nantucket Island. Radio Operator Jack Binns sent the CQD distress signal by wireless transmission - this was the most famous use and rescue using wireless prior to the RMS Titanic. Radio operator Jack Binns would become a hero - as the "Republic" began to sink, the twenty-five-year-old wireless operator sent the distress call that brought the rescue ship, "Baltic." The "Republic" suffered a puncture to its hull and began to sink. The collision killed two of the "Republic's" passengers and damaged Binns' wireless. But Binns quickly made repairs and began to transmit the distress signal CQD. Although his signal was weak and he worked from batteries alone, Binns reached the Siasconsett wireless station on Nantucket. He stayed at his wireless for the next 36 hours, sending signal after signal from his frigid, water-swamped cabin. Eventually, the "Baltic," another White Star liner, came to the rescue. When Binns arrived ashore in New York, he was surprised to find himself the focus of mass adoration. A ticker tape parade was held in his honor. He was offered contracts to perform on the vaudeville circuit. A song and a short film were made about him. No longer simply "Jack," he was now "CQD Binns," certified hero. But the attention was upsetting to Binns. 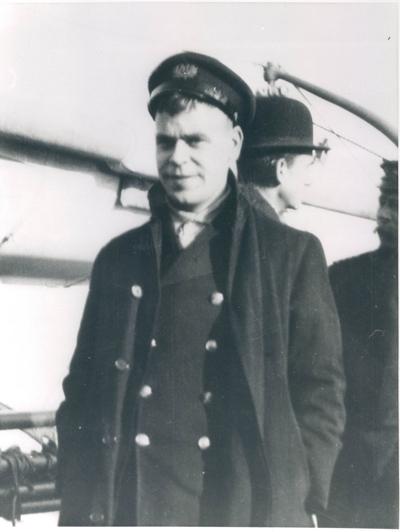 Jack Binns worked as a wireless operator until 1912, when he turned down an assignment aboard the ill-fated "Titanic." He returned to America, where he began a new career - journalism - the day before the "Titanic" sank. Binns continued his work in journalism until World War I, when he joined the Canadian Flying Corps as a wireless instructor. In 1924 he began work for the Hazeltine Co., an electronic engineering firm. He became the company's chairman of the board in 1957. Two years later, he died, at the age of seventy-five. UPI press photo is b/w and includes description on back. 7” x 9”. View is 1909i, print may be later. (VG+). $34. 13200. Wake-Walker, Edward. 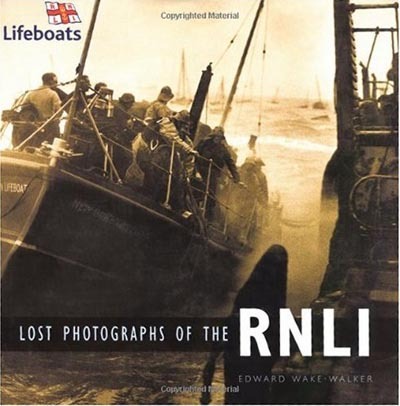 Lost Photographs of the RNLI. Sutton. 2004. 192p. DJ. Some time after 1948, a collection of 39 photographs was borrowed from the archives of the Royal National Lifeboat Institution's London headquarters by the American explorer, writer and film-maker, Amos Burg, in all probability for a National Geographic article that was never published. The collection features the Institution’s history from the 1920s to the end of World War II and includes pictures of Henry Blogg, probably the most famous lifeboat man of all time. RNLI photographs from this era are scarce, so this collection is a treasure, with a wealth of details of each photograph and wreck well researched by the author. The author worked for twenty-eight years with the RNLI, the final sixteen as PR Director. He is the author of several books on the RNLI and its history. Well done, most interesting. (VG+). $32. 6597q. Witney, Dudley. THE LIGHTHOUSE. Boston. 1975. 1st. US edition. 256p. DJ. 8VO. The author’s enjoyable and informative text compliments over a hundred beautiful color and b/w photographs, early architectural plans and illustrations outlining the history and architectural significance of lighthouses. Includes many quite beautiful photographs of lamps, lens and early lighting apparatus. Certainly one of the nicer of the more recent publishing endeavors, unusually difficult to find. Clean, tight. (VG+). $54. 6597r. Witney, Dudley. THE LIGHTHOUSE. Toronto. 1975. 1st. 256p. DJ. 8VO. The author’s enjoyable and informative text compliments over a hundred beautiful color and b/w photographs, early architectural plans and illustrations outlining the history and architectural significance of lighthouses. Includes many quite beautiful photographs of lamps, lens and early lighting apparatus. Certainly one of the nicer of the more recent publishing endeavors, unusually difficult to find. Clean, tight. (F). $68. 2312. MacAlindin, Bob. NO PORT IN A STORM. Scotland . 2000. 146 p. Soft wraps. Now in its second printing. The ships of this book evoke none of the usual romantic images of ships and yet may be the noblest of all. Invariably painted a gaudy red, no other ships spent more time at sea yet sailed fewer miles, their crews compelled to scan the same water and stretch of coastline for the bulk of their working lives. The life of a lightshipman in a hurricane was a sleepless nightmare of holding on, body braced against every combination of rolling and pitching, with tons of water burying the ship. This enthralling book describes 18 factual adventures from many countries including America, Denmark, Ireland, Canada, England, Holland, Scotland, Australia and Belgium giving vivid accounts of life aboard and the many hazards and disasters that occurred. (M). $34.95. 22461. "A Catalogue of the Civil and Mechanical Engineering Designs,1741-1792 of James Smeaton, F.R.S. preserved in the Library of The Royal Society " ;By and Published by the Newcomen Society (Courier Press) London. 1950. 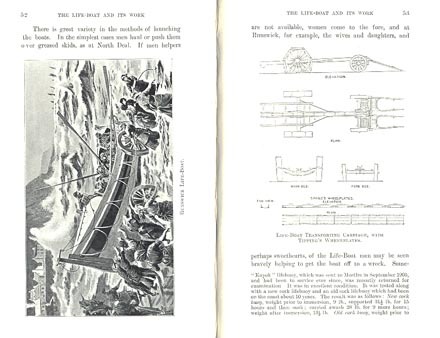 186 Pages of Text and Illustrations chronicling the civil and mechanical engineering designs of John Smeaton. Born June 8, 1724 , Austhorpe, Yorkshire, Eng. died Oct. 28, 1792 , Austhorpe, this English engineer is noted for his all-masonry lighthouse on Eddystone reef off Plymouth, Devon, and as the founder of the civil-engineering profession in Great Britain. Included are His Designs or Discussions for the: Windmill, Watermill, Mill, Fire Engine, Bridges, Buildings, Canal Works, Sluices, Harbors, and River Navigation designs. The numbers of drawings in the possession of the Newcomen Society by this noted engineer number over 1200. This is an attempt to catalogue many of his drawings by subject and title and gives the reader a further insight into the scope of Smeaton’s work. 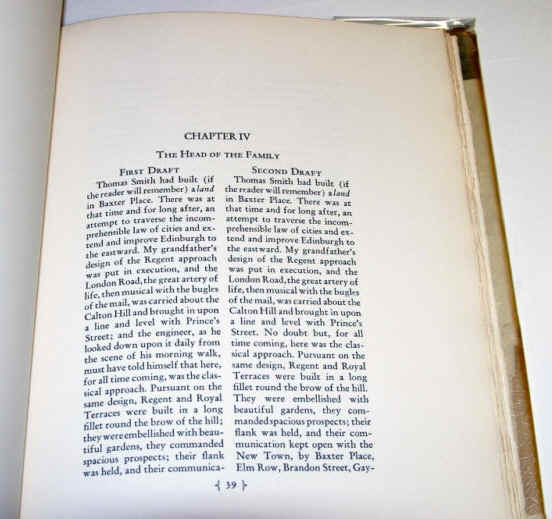 Stiff paper covers, some tears on 3 or 4 pages not affecting the text, light wear. (VG-). $44. Reduced $32. 22461. "A Catalogue of the Civil and Mechanical Engineering Designs,1741-1792 of James Smeaton, F.R.S. preserved in the Library of The Royal Society " ; By and Published by the Newcomen Society (Courier Press) London. 1950. 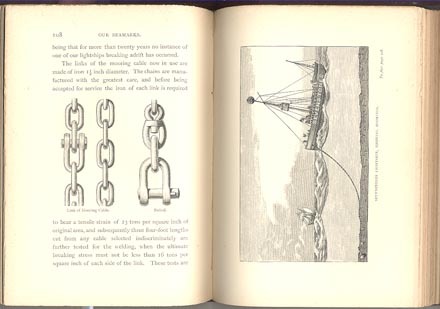 186 Pages of Text and Illustrations chronicling the civil and mechanical engineering designs of John Smeaton. Born June 8, 1724 , Austhorpe, Yorkshire, Eng. died Oct. 28, 1792 , Austhorpe, this English engineer is noted for his all-masonry lighthouse on Eddystone reef off Plymouth, Devon, and as the founder of the civil-engineering profession in Great Britain. Included are His Designs or Discussions for the: Windmill, Watermill, Mill, Fire Engine, Bridges, Buildings, Canal Works, Sluices, Harbors, and River Navigation designs. The numbers of drawings in the possession of the Newcomen Society by this noted engineer number over 1200. This is an attempt to catalogue many of his drawings by subject and title and gives the reader a further insight into the scope of Smeaton’s work. Stiff paper covers, some tears on 3 or 4 pages not affecting the text, light wear. (VG-). $44. 7109f. 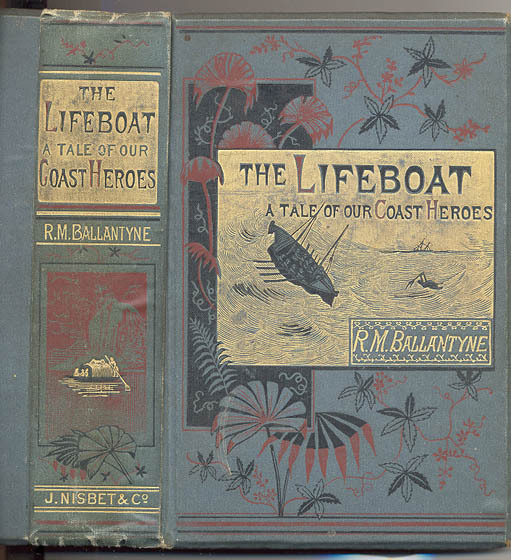 Ballantyne, R. M. THE LIFEBOAT - A Tale of Our Coast Heroes. NY. 1864. 392p. 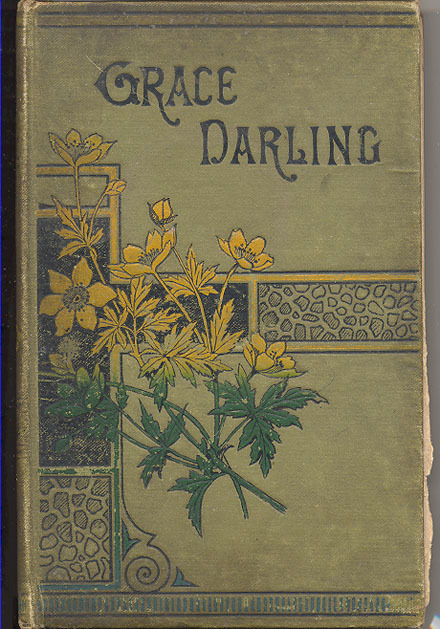 Superb brightly colored, embossed binding. 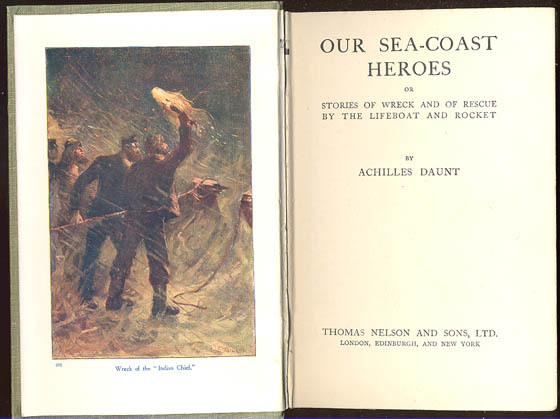 In this scarce title, the author tells of the work of the lifeboat in wreck and rescue with the aid of fictional characters. 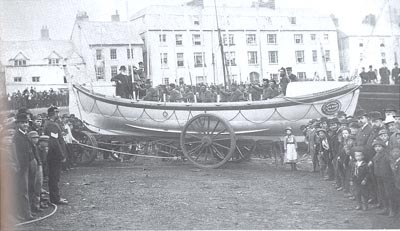 Through the many chapters one learns of the extensive history of the lifeboat and the work of the Royal National Lifeboat Institution, as well as their equipment including surfboat and rocket apparatus. With five fine engraved illustrations. Light wear to binding, overall clean and bright though. Contents clean and tight, occasional light foxing, frontis plate torn, corner missing. (VG-). $48. 5288c. Daunt, Achilles. OUR SEA-COAST HEROES or Stories of Wreck and of Rescue by the Lifeboat and Rocket. London. Nd. c.1900. First published 1880’s. 185pp. Describes the origin and history, as well as the principles of construction of the lifeboat and rocket apparatus with accounts of rescues by the Royal National Lifeboat Institution. Nicely embossed covers, clean, front hinge worn but otherwise clean, crisp. (VG-) $34. 379. 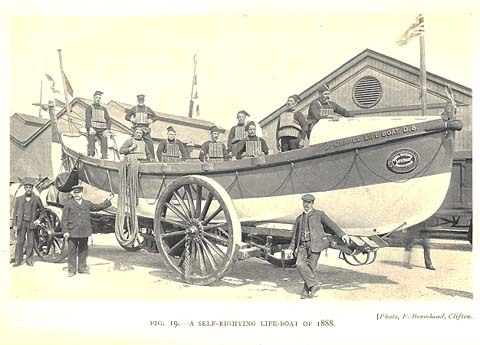 Methley, Noel T., THE LIFE-BOAT AND ITS STORY. London . 1912. 318p. Embossed cloth. A sought after early source tracing the origins and development of the life-boat. Includes great detail on the origins of the life-boat, the birth of a system of rescue, evolution of the self-righter, steam and motor life-boats, stations and equipment, life-saving services throughout the world, rockets and wreck guns and much more. Illustrated with 67 superb b/w photographs. An important source on the subject. Clean and tight, light wear to wraps. (VG). $88. 21261. ed. The Earl of Sandwich . BRITISH AND FOREIGN MEDALS RELATING TO NAVAL AND MARITIME AFFAIRS. Greenwich . 1950. 468p. Stiff wraps. Extremely detailed reference listing all naval and maritime medals awarded in Great Britain and around the world including the United States from the 1600’s to the publication date. Includes British Empire , United States , Netherlands , Greece , Italy , Germany , Russia , France and more. A detailed and comprehensive listing for the researcher. (VG). $86. 7293b. na. The Eddystone Lighthouse. The Penny Magazine. July 28, 1832. 3p. Disbound. 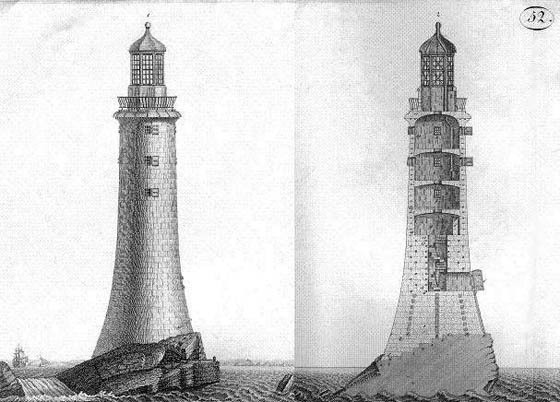 Early article describes Winstanley’s lighthouse on the Eddystone Rocks and Smeaton’s replacement in 1759. With illustrations and good detail. $8. 5250c. Senate 619. July 20, 1840 . 12pp. Report of Captain M.C. Perry, in relation to Light-houses of England and France . Provides a synopsis of the establishment, apparatus and management of British and French lights. Rare early information, disbound from Congressional Record. $8. 11445. na. 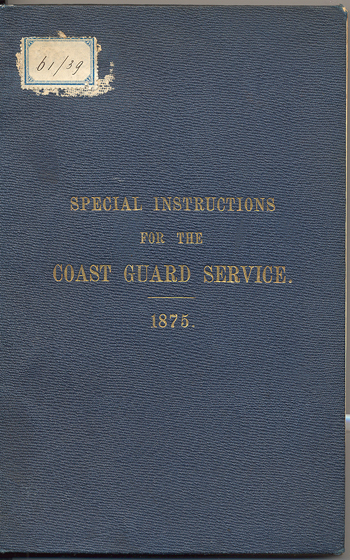 Special Instructions for the Coast Guard Service 1875. London. Commissioners, Lord High Admiral of the United Kingdom. 176p. Gilt embossed cloth wraps. Detailed regularions for the operation of the Coast Guard in Britain include Officers, Qualifications and Promotion, Uniforms, Drills, Discipline, Entry of Boys for Royal navy, Pilotage, Stores, Ship’s books and accounts, Victualling and Clothing, Pensions, and more. Extremely detailed, well indexed, early rules for this lesser known service. Contents clean, tight, light toning, wraps light edge wear, light soiling. (VG-). $35. 11375. Gattie, George Bing. Memorials of the Goodwin Sands, and their Surroundings, Legendary and Historical. London. J.J. Keliher & Co. 1904. 297p. The Goodwin Sands is a 10-mile-long sand bank in the English Channel, lying six miles east of Deal in Kent, England. As these shoals lie close to major shipping channels, more than 2,000 ships are believed to have been wrecked upon it, and as a result it is marked by light vessels and buoys. In this exceptionally scarce title, the author gives detailed account of the history of the area, the geology, great storms, the Hovellers, the establishment of a “Coastguard”, beacons and buoys, lightships, wrecks, the lifeboat and rescues, lighthouse schemes and building projects, and more. A very detailed account. Gilt embossed binding, moderate soil and wear, contents tight, light soiling. (G+). $38. 857d. na. THE MANUSCRIPTS OF ROBERT LOUIS STEVENSON’S RECORDS OF A FAMILY OF ENGINEERS. The Unfinished Chapters. Walter M. Hill, editor. Chicago . 1929. Limited to 300 copies. Quarto. 92p. Boards, cloth backed, edges uncut. In 1929 Mr. Hill acquired the original manuscripts, together with hitherto unpublished portions, of R. L. Stevenson’s Record of a Family of Engineers. As Robert Louis Stevenson accumulated notes explaining the lighthouse work of his forebears, he first sketched out one chapter, then another which were eventually published, along with extracts from his grandfather’s work on the Bell Rock Lighthouse. The mass of notes and drafts out of which the original book was finally carved, illustrates the great author’s mode of work. First, there is the manuscript as printed in 1912. Second, a series of finished and unfinished chapters intended for publication but afterwards contracted and reduced. Third, we find a wealth of supplementary notes and projected chapters – a most interesting and significant mine of material. These notes and unfinished chapters are introduced by a recapitulation of Stevenson’s study of his family history, to which has been added a description of the manuscripts. 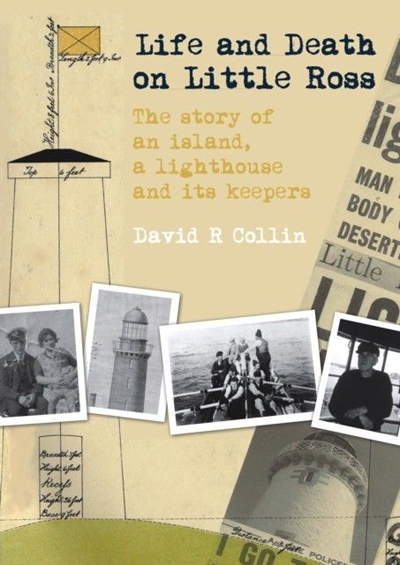 A remarkable insight to the work and the thoughts of these important lighthouse engineers, and in the style of R.L.S. Extremely scarce, only 300 printed. Quite clean, tight. Only light edge wear to boards. (VG+) $185. 28306. (cabinet photo) Smeaton’s Eddystone Lighthouse Tower, Plymouth, England c1890-1900. Built in 1759, this tall granite tower was the third tower to mark this dangerous spot and lasted for 120 years until cracks began to appear in the rock upon which it stood. 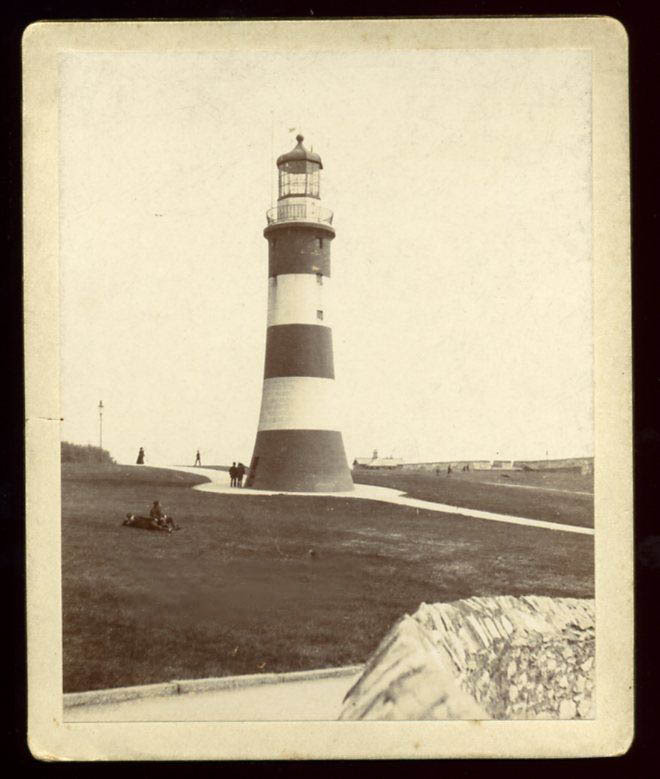 In the 1870’s the upper 2/3 of the tapered granite tower with lantern and gallery was dismantled and transported to Plymouth Hoe, a grassy hill overlooking the town and harbor, where it was re-erected as a monument to the builder. The stump of Smeaton's tower still stands on the original rock to this day. Period cabinet view measures 4” x 5” and is clean and clear. (VG+). $54. 1041. Wilson, T.G. [Vice-Chairman of the Commissioners of Irish Lights] The Irish Lighthouse Service. The Commissioners of Irish Lights. Dublin. 1968. 149p . DJ. 29 illustrations in the text, 4 Full Color Plates, & 23 black & white photos. 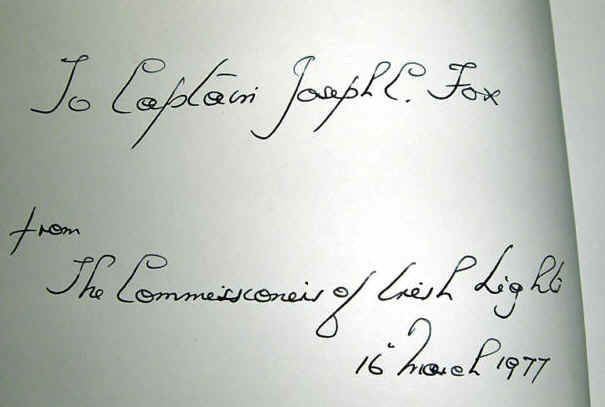 Bold ink inscription on frontis: " To Captain Joseph C. Fox from The Commissioners of Irish Lights 16 March 1977". (Captain Fox was a US Merchant Marine officer.) 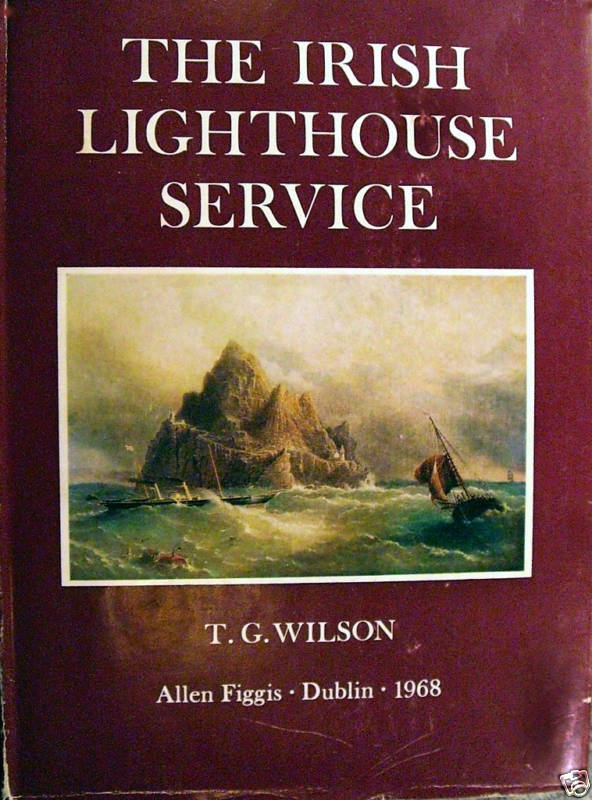 This rare title, published by the Commissioners of Irish Lights, commemorates the hundredth anniversary of the Irish Lighthouse Service. The Service dates back in some form to the fifth century. After a brief glance at the lighthouses of antiquity, the author traces the development of methods of illumination from open wooden and coal fires through gas and oil to electricity, and of sound signals from bells to the diaphones, sirens and explosive fog­signals now in use. The author ends with the last hundred years, a time of great expansion in the Irish Lights Service. A rare and sought after account: A search of out of print book stores in the UK and US, and on the web reveals only 8 copies available – priced from $334 to $380+. Clean, crisp, tight in edge-worn dj. (VG+). $268. 854c. Stevenson, D. Alan (ed). ENGLISH LIGHTHOUSE TOURS 1801, 1813, 1818 From the Diaries of Robert Stevenson with his Drawings of Lighthouses. London. 1946. 1st. 70p. 12MO. Robert Stevenson ranks high in the hierarchy of great lighthouse builders. D. Alan Stevenson, great-grandson of Robert Stevenson, acts as editor of the diaries, which are in his possession and contributes an introduction and notes which not only mould the diaries into a unique picture of the early lighthouses, but make a romantic contribution to this romantic phase of maritime history. The remarkable connection of the Stevenson family with lighthouses, which has continued for 160 years, ensures a correct historical background on the subject. A remarkable insight to the work and the thoughts of these important lighthouse engineers, and extremely scarce. Clean, tight, near fine. (VG+). $115 net. W-03. Cassells, Ian. A LIGHT WALK. Scotland . 1997. 152 p. Soft wraps. Whilst on duty in the cramped confines of Muckle Flugga Lighthouse, Ian Cassells took to walking circuits round the light station for exercise. With this background, when the northern Lighthouse Board celebrated its Bicentenary in 1986, he made the suggestion that in commemoration of the anniversary he carry out a sponsored walk to raise money for the Royal National Lifeboat Institution, calling at all the manned lighthouses on the Scottish mainland. It took the author 58 days in which he covered over 1100 miles on foot – A Light Walk! This is the story of his walk. (M). $19.95. 978. [engraving] THE EDDYSTONE LIGHTHOUSE. Scientific American Suppliment, No. 157. January 4, 1879. Exquisitely detailed full-page 9” x 13” b/w engraving of the tall masonry lighthouse on the Eddystone. The large lighthouse is in the center, with its light beaming and waves dashing at its side. A foundering vessel can be seen in the background with wreckage in the immediate foreground. Nice detail and an attractive portrayal. Clean. (VG). $14. 6233. EDDYSTONE LIGHT-HOUSES, PAST AND PRESENT. Harper’s Weekly. September 13, 1879. 1p. Very nice half-page woodcut engraving of the three Eddystone lighthouses. 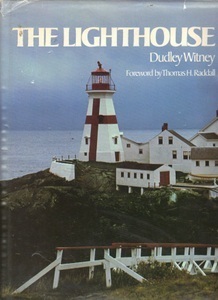 Includes half-page article describing the history and construction of the three lighthouses over the years. Nice detail, very clean. (VG). $26. 6233b. EDDYSTONE LIGHT-HOUSES, PAST AND PRESENT. Harper’s Weekly. September 13, 1879. 1p. Very nice half-page woodcut engraving of the three Eddystone lighthouses. 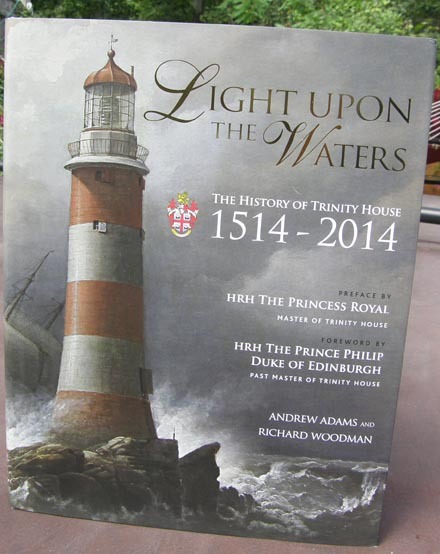 Includes half-page article describing the history and construction of the three lighthouses over the years. Nice detail, light edge wear, light soiling. (VG-). $18. 5456s. A VISIT TO A LIGHT-HOUSE. Harper’s Weekly. January 15, 1876 . 2pp. Exquisite b/w double-page, 14”x21”, multiple engravings offering a glimpse of the various duties of a light-keeper and the labor and diligence required to keep the great structure in order, with accompanying descriptive article (centers around an offshore light in Great Britain). This is definitely one for display. Clean, crisp, excellent for dry-mounting and framing. (VG+). $66. 5456f. A VISIT TO A LIGHT-HOUSE. Harper’s Weekly. January 15, 1876. 2pp. 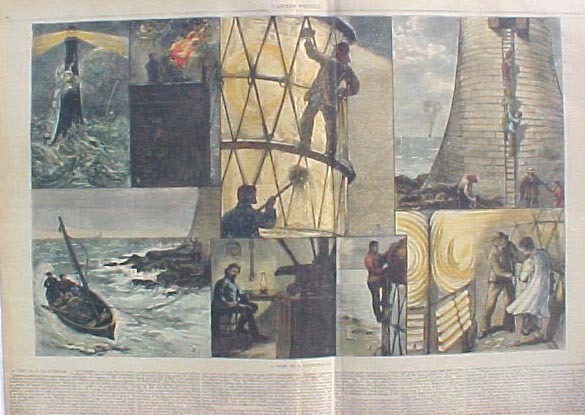 Exquisite hand colored double-page, 14"x21", multiple engravings offering a glimpse of the various duties of a light-keeper and the labor and diligence required to keep the great structure in order, with accompanying descriptive article (centers around an offshore light in Great Britain). This is definitely one for display. Only light wear at fold, only very light overall age toning, excellent for dry-mounting and framing. (VG+) $76. 711b. DABOLL’S FOG-TRUMPET IN THE BRITISH CHANNEL. Harper’s Weekly. January 16, 1864 . 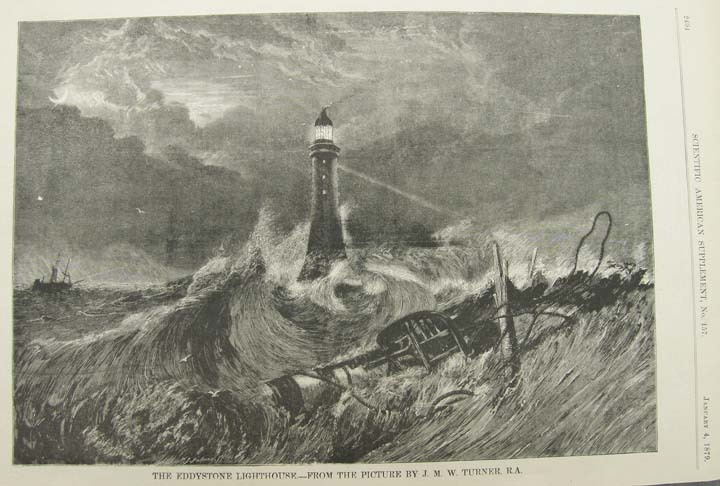 Fine half page engraving of the Dungeness Light-House in the British Channel. To the right is the masonry light with surrounding dwellings and buildings, while the new Daboll fog trumpet and steam boiler building sits closer to the point. Behind can be seen steam and sailing ships in the channel. Short article describes the apparatus and the experiments conducted in relation to the older bell vs. the steam horns. Nice, fine detail. (VG-). $18. 23274. "LIFE SAVING APPARATUS AT WORK ON THE NORFOLK COAST – The Wreck of the Norwegian Ship "Esras". The Sphere. March 30, 1901.. Striking full page 11" x 16" illustration depicts a sailor clutching the lines of the breeches buoy as he is hauled ashore during a heavy storm. This close depiction shows the breeches buoy apparatus in great detail, with his shipmates on board the vessel anxiously awaiting their turn. Short article details the events of the rescue and the efforts of the Cromer and Sheringham Rocket Brigades in gaining a line to the ship and effecting the rescue. Close, clear, this makes a superb item for framing or illustration. Clean, crisp, nice view. (F-). $48. 901aa. 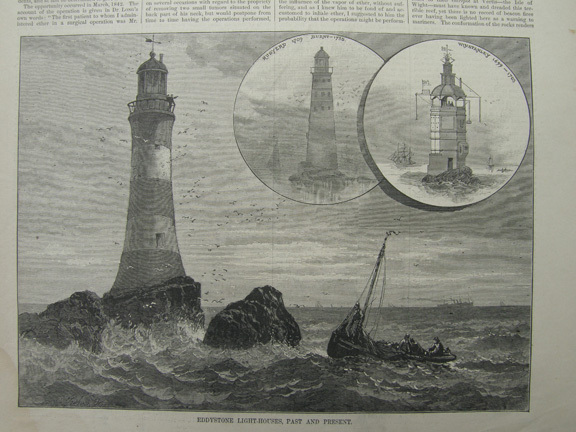 [engraving] SMEATON’S EDDYSTONE LIGHTHOUSE. c.1890. Large, clear early engraving depicting the Eddystone Lighthouse amidst towering seas. This early rendition shows quite delicately tower and lantern, with the sun peaking from behind the storm clouds. Engraving measures 5 ½" w x 8 ½" h and is nicely detailed. (VG). $10. 901L. [engraving] Wolf’s Rock Lighthouse. 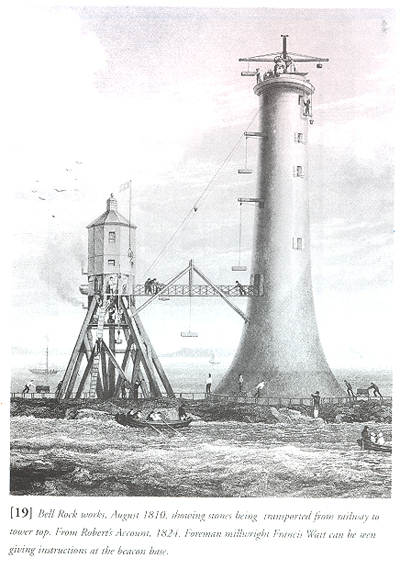 4 ½" x 3 ½" engraving from period publication depicts Wolf’s Rock Lighthouse while under construction. Detailed view shows the lighthouse complete to the base of the lantern, with flags flying from the top. The work boat can be seen moored at the base with other vessels in the background. (VG). $8. 901k. Lighthouse at Bishop’s Rock, Scilly Islands. 3" x 5". (VG). $8. 901bb. Eddystone Lighthouse. Early c.1830. Some foxing. 3"h x 4"w. (G). $9. 24251. na. EXTRACTS FROM THE REPORT OF HER BRITANIC MAJESTY’S COMMISSIONERS APPOINTED TO INQUIRE INTO THE CONDITION AND MANAGEMENT OF LIGHTS, BUOYS, AND BEACONS. Submitted March 5, 1861. Republished for use of the U. S. Light-House Establishment. Wash. GPO. 1871.254 p. Provides extremely detailed information on the lighthouse service in Great Britain . Includes extensive details of the operation, equipment and apparatus, fuels, as well as ongoing research and possible future advancements. Great detail, well indexed. In original half calf wraps with marbled boards and endpapers, expected wear, hinges intact, overall clean and tight. (G+). $225. 22190. Campbell, J. M. [Assistant Lightkeeper, Bell Rock Lighthouse], NOTES ON THE NATURAL HISTORY OF THE BELL ROCK. Edinburgh. 1904. 112p. 12MO. Beautiful gilt embossed lighthouse on binding. 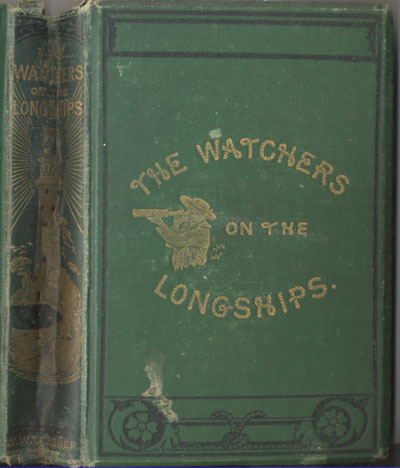 After serving nine years as Assistant Keeper of the Bell Rock Lighthouse, the author was encouraged by friends to record his many detailed observations of the life there, with particular emphasis on the many different animal species that exist in the area. From the gulls and terns, to the seals and fish species, the rock was teeming with life which was well chronicled by the author. Most interesting account of the period between 1901 and 1904. Contents clean, tight and bright. Covers light wear and staining, corners bumped. (VG-). $98 net. 23453. Boyle, Martin. LIGHTHOUSES OF ENGLAND AND WALES. Southampton. 1999. 20-50 pages. Soft wraps. 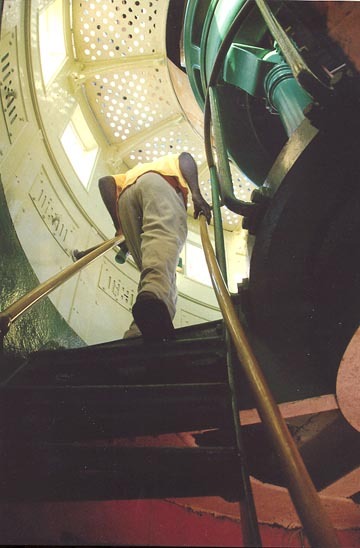 Booklet provides a complete history of the lighthouse with sections on early history, construction efforts, specifications, optics and lighting, fog warning systems and much more. Unusually detailed accounts with exceptional vintage architectural plans, photographs and diagrams. An excellent series, thoroughly illustrated and well researched. 12 titles available: Beachy Head, Portland Bill, Eddystone, Wolf Rock, Skerries Rock, Needles Point, Longships, Pendeen, The Smalls, Kinnaird Head, Lighthouses Four Countries – One Aim. $12 each. 22347. Hart-Davis, Adam and Emily Troscianko. HENRY WINSTANLEY AND THE EDDYSTONE LIGHTHOUSE. Sutton Pub. 2002. 208 p. dj. On November 26, 1703, during the worst storm ever recorded in Britain, Henry Winstanley died in his lighthouse when it was blown away. Winstanley had been an ingenious man. In 1695 following the loss of two of his ships on the Eddystone Reef, he determined that no more vessels should founder there, and he volunteered to build a lighthouse. Constantly thwarted by weather and politics, he struggled for three years before he was able to light the first candles in his unusual structure. His lighthouse survived for five years, and this is his story and the story of the first Eddystone Lighthouse. Nicely illustrated, well done. (M). Published at $18.95 Our Price $17.95. 2228. Smiles, Samuel. LIVES OF THE ENGINEERS - SMEATON AND RENNIE. London. 1874. 389p. 12MO. Beautiful gilt embossed covers. A rare biography of these two distinguished British lighthouse engineers. General chapters include work by both engineers on shipping and harbours, beacons, lighthouses, bridges and more. The life of John Smeaton includes chapters on his boyhood years and education, Winstanley’s and Rudyerd’s work on the Eddystone Lighthouses, Smeaton’e lighthouse on the Eddystone, work as a civil engineer, his private life, and more. The life of John Rennie includes chapters on his boyhood years and education, work as a millwright and engineer, the Albion Mills, bridges, the Bell Rock Lighthouse, docks and harbors, Plymouth Breakwater, his character, and more. Wonderfully illustrated with over 80 detailed engravings. An exceptionally scarce volume on these famed engineers and extremely difficult to find, is a sought after title on the subject. Contents unusually clean and crisp, tight, covers bright save just slight sunning to spine. A wonderful copy. (VG) $156 net. 7205e. Naish, John. SEAMARKS - THEIR HISTORY AND DEVELOPMENT. London. 1985. 192p. DJ. A Thorough and extensively researched work on the history and design of all forms of landmarks and seamarks from their earliest beginning. Includes beacons, buoys, towers, lightships from the 1200’s to present day. A scholarly though easily readable work, with extensive photographs, illustrations, engravings and references. One of the few books covering the heritage of the world’s beacons, a must for the serious collector. (F). $32. 22232. Stevenson, D. Alan. THE WORLD’S LIGHTHOUSES BEFORE 1820. Mineola. 2002 2nd. [originally poblished in Edinburgh. 1959]. Soft wraps. 8VO. 310pp. Over 200 rare illustrations and designs, with 8 maps. One of the most complete and sought after sources on the subject. 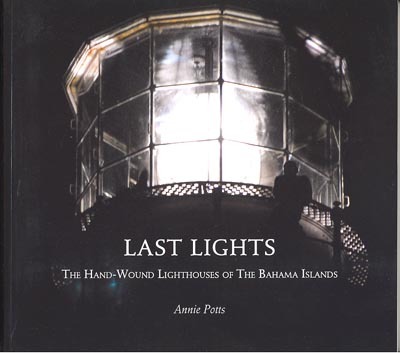 Offers an excellent history on the origin and operation of lighthouses and lighting apparatus throughout the world by a member of the renown lighthouse engineering family. Part I of the book deals with seamarks prior to 1690 when technical progress really first began, and then lists the more interesting attempts at improvement before 1820. Part II of the book elaborates on particular periods or episodes – such as the dramatic story of the four successive attempts to build a lighthouse on the Eddystone Rocks. Part III explains various aspects of the illumination of early lighthouses. Well illustrated with over 200 illustrations. Well done, quality work. (M). Published at $26.95. Our Price $24.25. 2174b. Stevenson, Robert Louis.- Scott's Voyage in the Lighthouse Yacht. With a Portrait of Robert Stevenson. Introduction by Robert Louis Stevenson. Reminiscences of Sir Walter Scott, Baronet by Robert Stevenson. Disbound from Scribner's Magazine, Volume XIV, October, 1893. pp. 492-502. New York. Charles Scribner's Sons. 1893. First Edition. 8vo. Robert Louis Stevenson, the son and grandson of engineers specializing in the design ands construction of lighthouses, here introduces his grandfather's acquaintance with Sir Walter Scott and publishes his grandfather's reminiscences of a voyage with Sir Walter Scott in 1814 aboard a lighthouse tender about the Scottish Islands and among his lighthouses, especially the famous Bell Rock Light. Quoted too is the poem, Pharos Loquitur, which Scott composed and wrote into the Visitor's Album at Bell Rock on that occasion. Interesting account of line aboard a tender and at these offshore lights. Disbound without wraps, some moisture to bottom margins only, otherwise clean and crisp. (G+). $28. 854c. Stevenson, D. Alan (ed). ENGLISH LIGHTHOUSE TOURS 1801, 1813, 1818 From the Diaries of Robert Stevenson with his Drawings of Lighthouses. London. 1946. 1st edition. 70p. 12MO. Robert Stevenson ranks high in the hierarchy of great lighthouse builders. D. Alan Stevenson, great-grandson of Robert Stevenson, acts as editor of the diaries, which are in his possession and contributes an introduction and notes which not only mould the diaries into a unique picture of the early lighthouses, but make a romantic contribution to this romantic phase of maritime history. The remarkable connection of the Stevenson family with lighthouses, which has continued for 160 years, ensures a correct historical background on the subject. A remarkable insight to the work and the thoughts of these important lighthouse engineers, and extremely scarce. Clean, tight, near fine save bookplate and name imprint, light soiling to spine. (VG+). $138 net. 21507. Krauskopf, Sharma. IRISH LIGHTHOUSES. Guilford. 2001.96 p. Soft wraps. Ireland has a seafaring side that is entirely enchanting. With almost 2000 miles of coastline, the sea has beckoned many Irish countrymen. Since the first century, Irish lighthouses have been guiding these seafarers home. 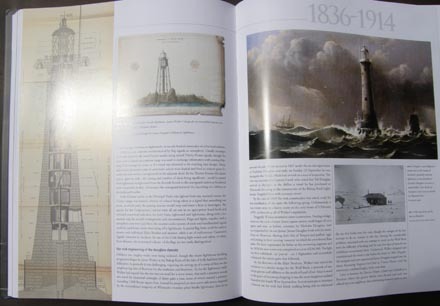 This lavishly illustrated book tells the story of Ireland’s lighthouses from coast to coast. 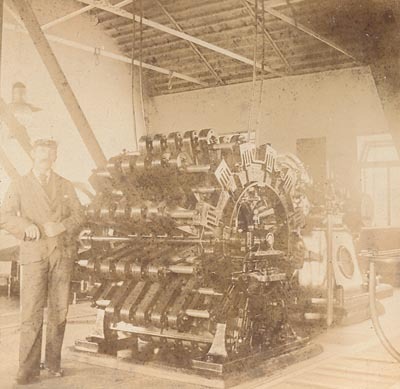 The wonderful photographs and detailed text traces the evolution of the lights from their beginnings to their technological transformations in more recent times. Includes over 65 striking photographs. (M). Published at $19.95. Our Price $18.95. 21508. Krauskopf, Sharma. SCOTTISH LIGHTHOUSES. Guilford. 2001.96 p. Soft wraps. The waters off the Scottish coast are some of the most dangerous in the world. In a country almost totally dependent on the sea for its livelihood, lighthouses have played a significant part in its history. This lavishly illustrated book presents a tour of thirty-one of the most magnificent lighthouses built over the past 200 years. The wonderful photographs and detailed text traces the evolution of the lights from their beginnings to their technological transformations in more recent times. Includes over 65 striking photographs. (M). Published at $19.95. Our Price $18.95. 6477m. Stevenson, Robert Louis. [A FAMILY OF ENGINEERS] THE WORKS OF ROBERT LOUIS STEVENSON. Volume X. New York 1906. 462 pp. First published in Vol. XVIII of the Edinburgh Edition of Stevenson’s works in 1896, this edition of "A Family of Engineers" is contained in a set of his works. This sought after piece on the history of the Stevenson family of lighthouse engineers remains quite difficult to find. Included is a history of their service to the Northern Lights, and the building of Bell Rock Light. This copy has a gilt top edge; not all do. Front hinge lose, contents quite clean, tight. Spine chipped at top and on label. Still, a nice addition to a scarce Stevenson library. (G+) $54. 22190. Campbell, J. M. [Assistant Lightkeeper, Bell Rock Lighthouse], NOTES ON THE NATURAL HISTORY OF THE BELL ROCK. Edinburgh. 1904. 112p. 12MO. Beautiful gilt embossed lighthouse on binding. After serving nine years as Assistant Keeper of the Bell Rock Lighthouse, the author was encouraged by friends to record his many detailed observations of the life there, with particular emphasis on the many different animal species that exist in the area. From the gulls and terns, to the seals and fish species, the rock was teeming with life which was well chronicled by the author. Most interesting account of the period between 1901 and 1904. Contents clean, tight and bright. Covers light wear and staining, corners bumped. (VG-). $118. All text and illustrations on web site Ó James W. Claflin . 09/18/2018 All rights reserved. Use prohibited without written permission.